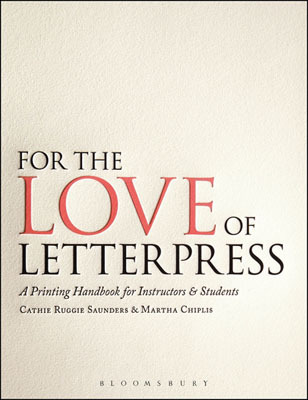 Two of Jackie McGill's artists' book are featured in the soon-to-be-released For the Love of Letterpress: A Printing Handbook. “Let It Go” is a dance-in-progress created by Brooklyn-based choreographer Alissa Horowitz. 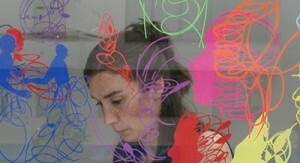 The piece explores the process of letting go in order to heal, evolve, re-pattern, [fill in the blank]. 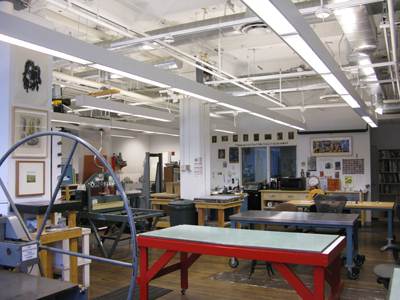 Anchor Graphics now offers credit and non-credit classes for the Columbia community and beyond. Material Social Practices Course challenges the current physical limitations of the Papermaker's Garden. 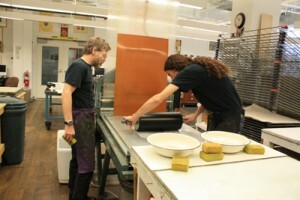 Three visiting artists take up residence at Anchor during summer 2013. 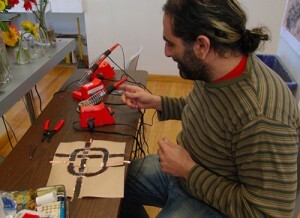 Third-year InterArts Media MFA Michael LaHood working on an (E)Textile exploration as part of the three-day workshop. CBPA's summertime Artist-in-Residence program keeps the studios humming all summer long.